M E Amy Drilling Co. Since 1947, M E Amy Drilling Co. has been the premier provider of well drilling and maintenance services for Municipal, commercial and agricultural services across Louisiana. We are a family-owned and -operated business with a friendly and professional staff, working to provide quality services at reasonable prices. Ensuring the highest water quality and best functionality from your water well is directly associated with the company you’re choosing to service that well. When you need undisputed service of the highest caliber for your well, make no mistake in trusting M E Army Drilling Co. above all others. With decades of experience and a penchant for delivering unparalleled satisfaction, we’re number one in the State of Louisiana for every well service your commercial, agricultural or municipal well might need. From your initial water well drilling in LA through he routine service and maintenance needed to keep it in top functional condition, trust no other for excellence. We have our water well license, as well as a valid contracting license. We’re members of the Louisiana Ground Water Association, as well as the National Ground Water Association. Our business has been serving customers throughout Louisiana since 1947. We’re pleased to offer free estimates on all of the services we provide. If you require well service from dedicated professionals who can provide quality solutions, get in touch with M E Amy Drilling Co. today for a free estimate! 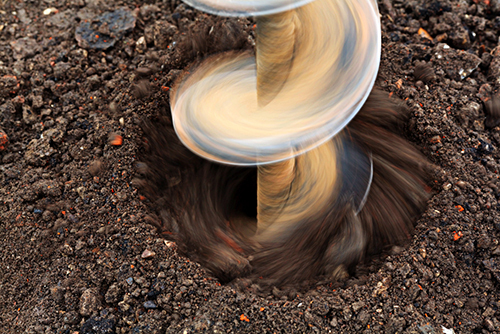 Proudly offering commercial, agricultural and municipal well drilling for all of Louisiana.